Titled by my six year old, this is my version of a coconut cake. It’s rich and creamy icing is to die for…literally. 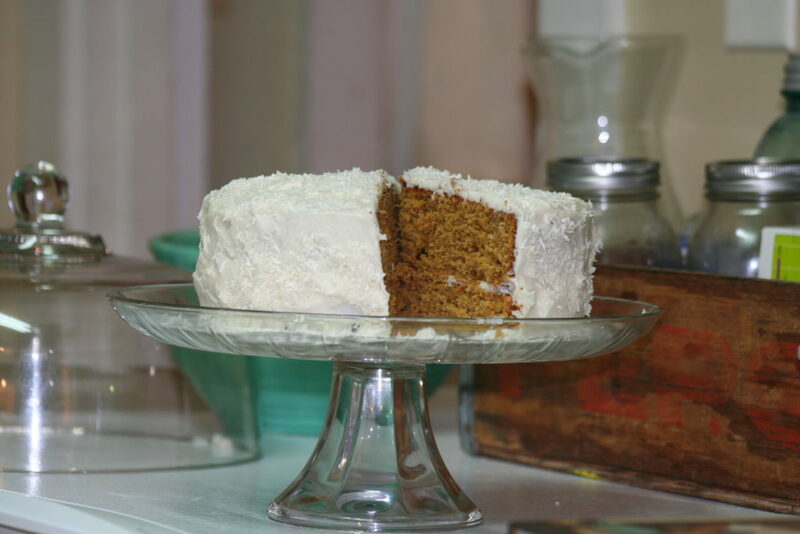 This recipe utilizes unrefined cane sugar, which gives the cake it’s dark coloring instead of the white cake most are used to seeing. Short and sweet…it’s awesome. Preheat the oven to 375 degrees and grease two 8 inch pans. Set aside. In a medium bowl combine flour, salt and baking powder. 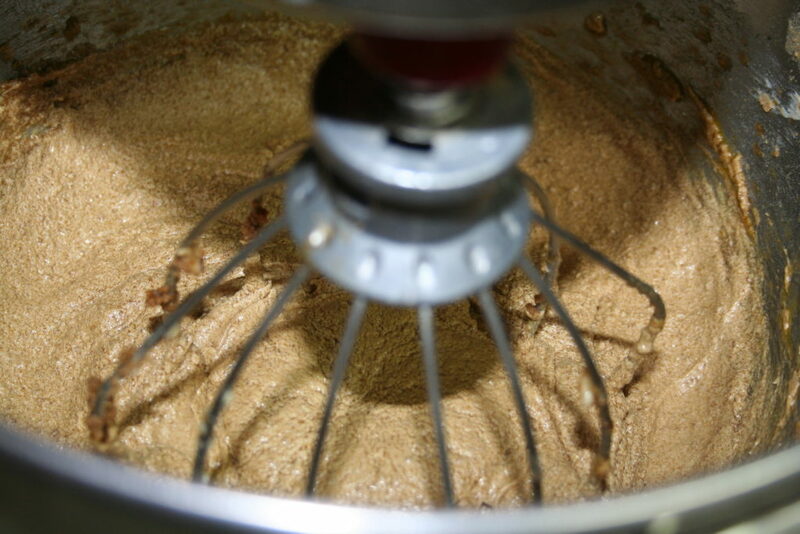 In a standing mixer beat butter on medium speed for about a minute. Then gradually add in the sugar and beat until well combined. Add in the eggs one at a time, beating well after each addition. Add vanilla. Alternate adding the flour mixture and milk on low speed just until combined. Split batter between the two pans and bake for about 25 minutes or until toothpick comes out clean. Place pans on a wire rack to cool for 10 minutes. 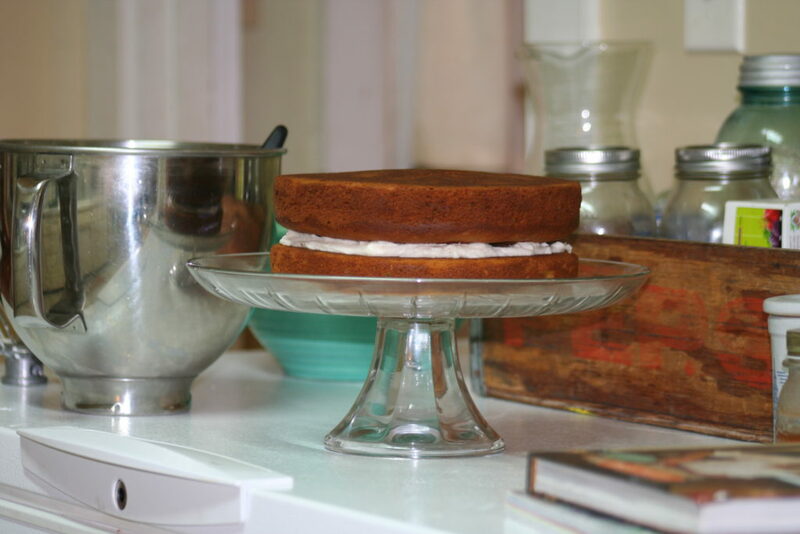 Gently remove cakes and allow to completely cool on wire racks. While the cakes cool you can prepare the icing. In a standing mixer beat oil and vanilla on medium speed for about 30 seconds. On low speed add 2 cups of sugar and allow to incorporate, then add 2 tbsp milk. Gradually beat in the remaining sugar, followed by the remaining milk. Stack the cakes with a layer of frosting in between. 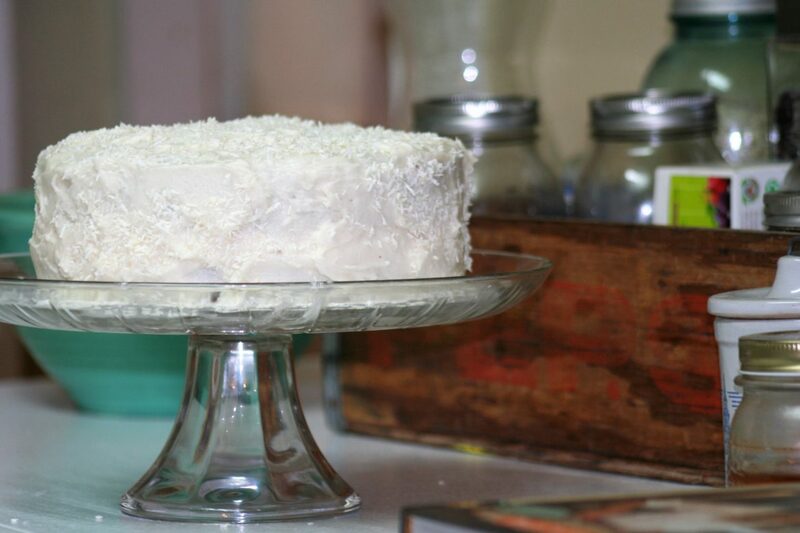 Use the remaining frosting to cover the cake and gently spread the shredded coconut onto the frosting. Eat. And die of happiness.